Avon still manages to impress after 125 years. There’s a reason that good beauty brands remain in business for 125 years. 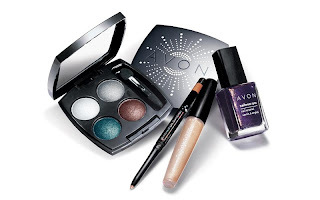 Avon’s commitment to good, reasonably priced and innovative product lines that deliver for their customer base is beyond question and, like other long term beauty brands such as Coty, Max Factor, Estee Lauder and Elizabeth Arden, these companies know their business and their consumers. As well as innovation, these business do what they know best and constantly refine products for their target audience, hoping to sway others along the way. The fact that Avon can now be bought online is a huge convenience as previously, one had to seek out the trusty neighbourhood Avon rep (and who didn’t want to be one when you were a kid, huh?). In Avon’s 125th year, they have shown their commitment to women with their 16 city celebratory ‘Avon Believe’ World Tour celebrating women’s empowerment and also they also have a million dollar fund to end violence against women which shows they put their money where their mouth is. The point is, they still manage to impress millions of women worldwide after all these years, and I must say, I’m a recent re-convert. The Avon Holiday Sequins collection for Christmas has limited edition packaging of product that could be representative of a more pricey brand – the colours are hot, the product (especially the soft as skin, black gel eyeliner) is impeccable and the Moisture seduction lipsticks are matte but with a definite moisturising element that doesn’t dry out lips (£8.50). The jewels in the collection are the Glittersticks Diamonds Eyeliners (£6) in flashy copper or sparkling silver and the True Colour Eyeshadow Quads (£8.50) in Glitz and Glamour (purple, blue, gold) and Sequin and Shine (turquoise, silver, white). Finish off with a coat of SuperEnchant Mascara (£8.50) which is rich and texture filled which conditions lashes as well as making them fuller and longer. Next post: Damaris ‘Packs Heat’ with Liberty Ross short film.